Every four years, Special Olympics holds a national competition for Special Olympics athletes across the United States. Special Olympics USA Games were held July 1-6, 2018 in Seattle, Washington. 60 North Carolina athletes and Unified Partners (individuals without intellectual disabilities who train and compete alongside Special Olympics athletes) competed in artistic gymnastics, athletics, basketball, bocce, bowling, golf, powerlifting, swimming, tennis, Unified flag football and volleyball. Special Olympics North Carolina used the advancement criteria set forth by Special Olympics, Inc. to select the athletes who are a part of Team NC. Gold medal winners from all ability level divisions were put into a random drawing in order to be selected for participation in the Games. For more information, view SONC’s 2018 Special Olympics USA Games Fact Sheet. Relive all of the USA Games action with Team NC below! Follow Team NC’s journey in Seattle in our newsletters, linked below! 7/1: Team NC has arrived in Seattle and is ready to compete! 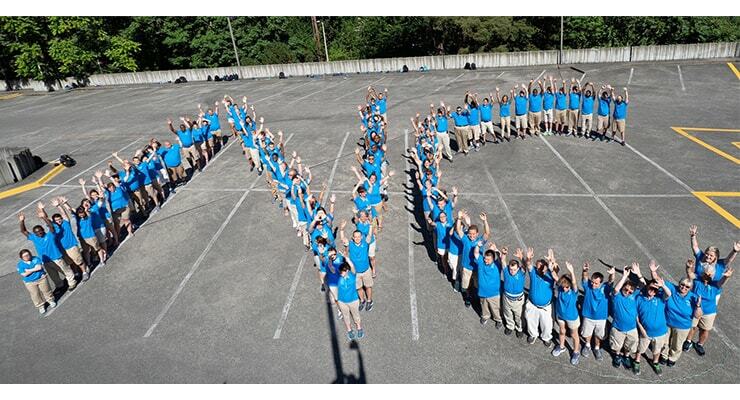 7/2: Did you see Team NC’s debut on TV yesterday? Two students from Wake Forest High School, one special education and one traditional education, also attended the Games as part of the delegation. 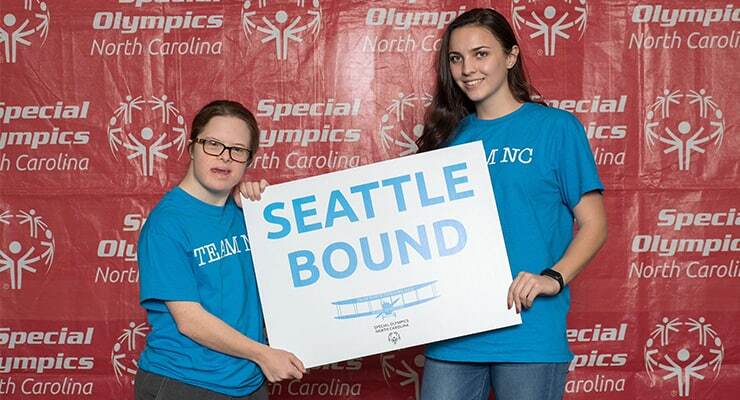 Sydie Garrett and Olivia Rudolph have been outstanding youth leaders through the Unified Champion Schools program in their high school and gained even more leadership skills as they help the NC team and interact with other youth leaders in Seattle. Sgt. 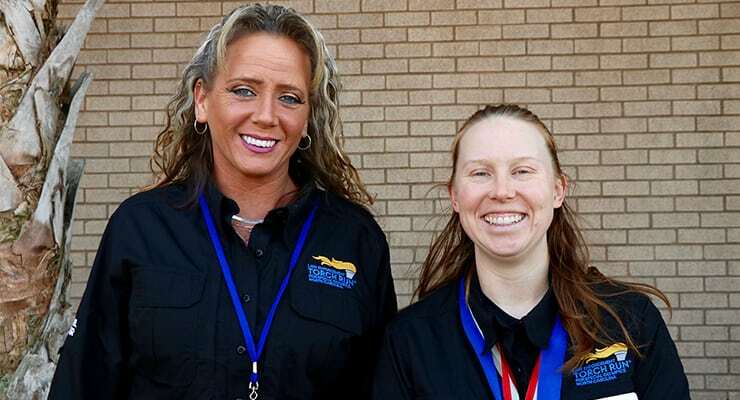 Jennifer Osborn and Robin Callaway helped to deliver the Flame of Hope to the 2018 Special Olympics USA Games Opening Ceremony on Sunday, July 1. The duo marched in with Team North Carolina and were part of the cauldron lighting during the program. Check out photos of their time in Washington here.